Get vocab definitions from quizlet from an input file. Have an APUSH review to do? 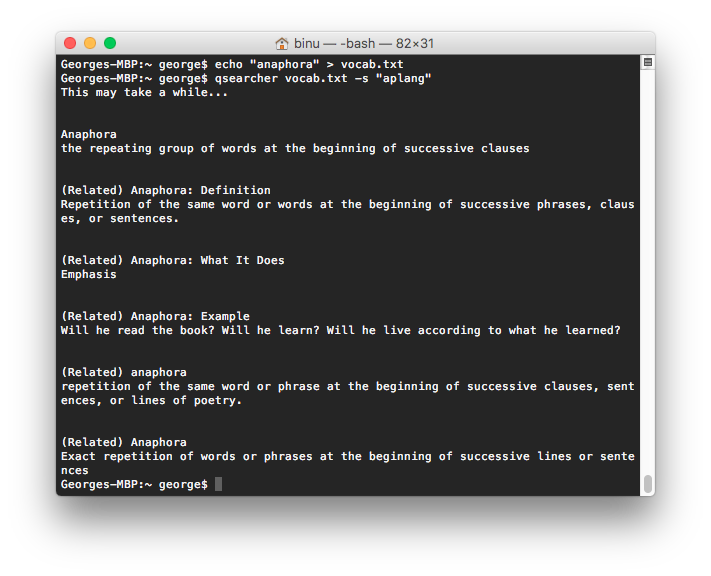 Put all the terms into a text file and we will get definitions for you from multiple quizlet sets. -s [search term] default: "apush"
example: qsearcher vocab.txt -s "history"